1.Newly designed heat dissipation box is sprayed by electrostatic technology, beautiful in design. 3.Optional PC cover or tempered glass cover, high transmission of light. 4.New design of hoop fastened at the bottom of fixture, match with heat resistant silicon ring, endure stronger vibration. 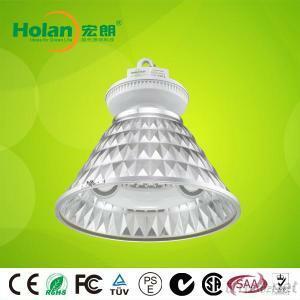 ◎ Holan’s 40W~250W circle type induction lamp features high lighting efficacy, long lifetime, good color rendering, stable output, etc. ◎ Holan’s electronic ballast features high power factor (>0.98),flickering free operation with low ballast loss and constant output, etc.